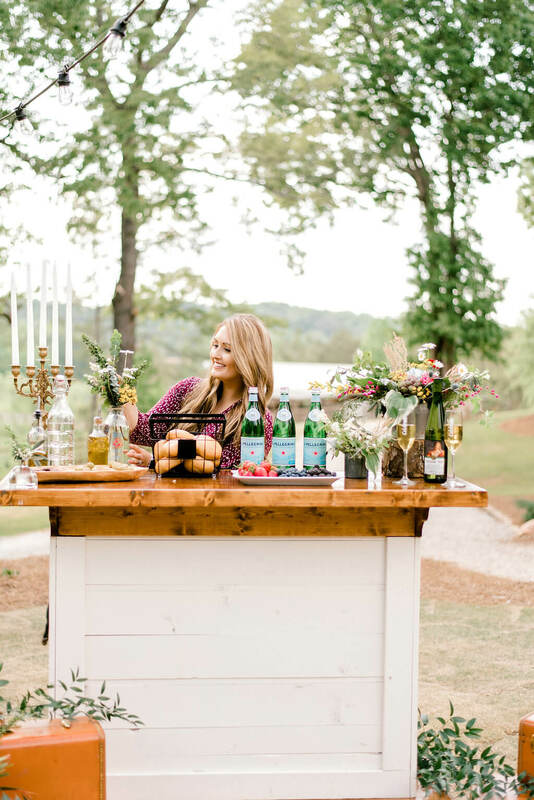 When I came across the idea, I had the idea to use it outside of traditional farmhouse decor. I knew I wanted to utilize one of these wood bead garlands in a boho vineyard wedding styled photoshoot I had a few days later. We had just finished our custom wood table (photos coming soon! 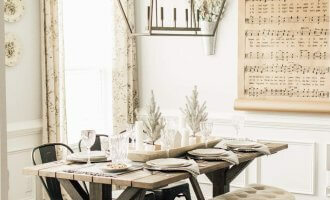 ), and I knew a natural wood bead garland would go perfectly with the weathered oak stain of the table and add a unique detail that publications crave. However, with living in a small town with a limited selection of stores AND being on a time crunch, I was in a pickle. Where would I even find one of these in time? Google searching brought up Etsy listings that wouldn’t make it in time. So, I decided to make my own. On the bright side, it allowed me to take the trip to the next town over and walk aimlessly through the aisles of Hobby Lobby for an hour. Score. 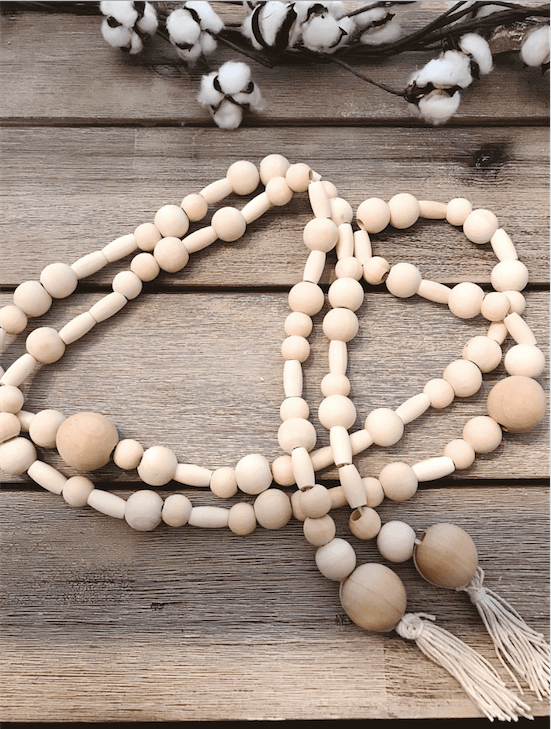 One of the beauties of making your own wood bead garland is just that – making it your own. Plus, it’s super easy! I really wanted to take this opportunity to make a wood bead garland that was unique, original, and not exactly like the one I would have bought on Etsy or in a store. The wood beads at hobby lobby were 50% off, and ended up being $1 per pouch! I decided to throw a bunch of different sizes and shapes into my cart and go from there. 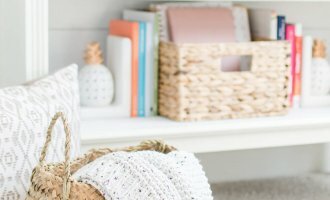 I already had string and other supplies at home, but even if I would have bought string at Hobby Lobby it would have still made this project cost less than $10! 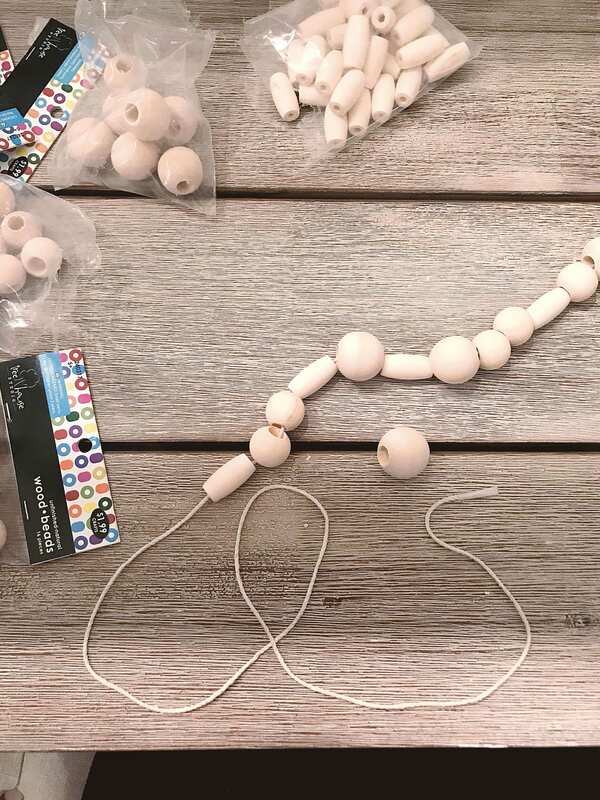 Varying Size and Shape Wood Beads from Hobby Lobby – $0.99 per pack when they’re on sale! Jute Twine (But really any string or ribbon – I just used what I already had!) – $1.99 when it’s on sale! Pro Tip: If you didn’t already know, Hobby Lobby rotates their sales. If it’s not on sale this week, wait till next week. You can expect 50% off most items throughout the store every other week!! 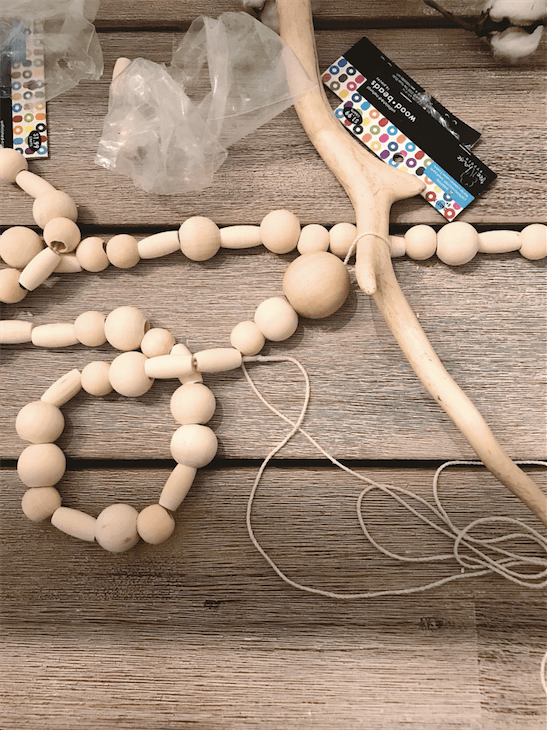 You may have been wondering where tape would come into play for making a wood bead garland. But, I used tape to tape the end of the string to make threading the string through the beads so much easier. Not to mention, it saved so much time. Without the tape, the string would snag on the hole’s unfinished interior while I tried to thread them. 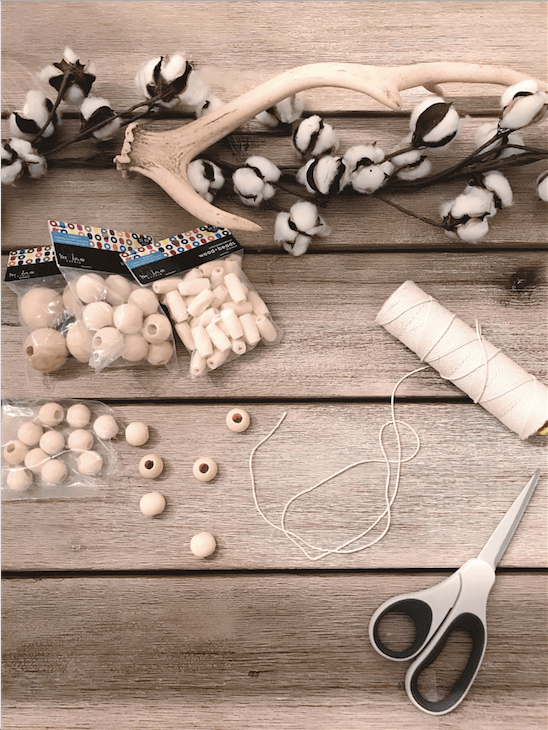 After you’ve used up all your beads or have made the garland as long as you want it, you’ll want to make a loop and thread back through your strand. To avoid having your last bead on the strand fall off, I used one of the antlers from my table’s centerpiece to wrap the loop around. (Is it me or did that sound extremely redneck…? #facepalm) If you’re less redneck than I am, any stick (or kitchen utensil) will do. P.S. It would help if you measured out your string twice as long before you began threading the first time around. But, I just kept going until I ran out of beads and then pulled the string through until I had enough to thread back through. Do you, boo! Whatever is easier for you. Once you’ve made it back through threading your beads on the string, you can finish it off by threading through the last bead one final time and tying a knot before making your tassel. You could have also done this instead of a loop on the other end, but I wanted the loop to be able to tie the tassel to it. Like I said before: do you, boo! Once you’re all done, you’re ready to add the tassels. I promise the tassels are easier to make than they look. Wrap twine around your hand 15 or more times depending on how thick you want the tassel to be. Move your hand and cut through the bottom part of your twine circle. Set one strand of your twine bunch aside. Thread the twine bunch through the loop on the end of your garland, and fold it over so the twine loop runs through the middle. Use that one strand from your twine bunch to tie a knot around the twine bunch to secure it and make the tassel. Not a fan of tassels? I’ve also seen makers on Etsy use different charms and metal accent pieces to add onto the ends. They’re so darling! 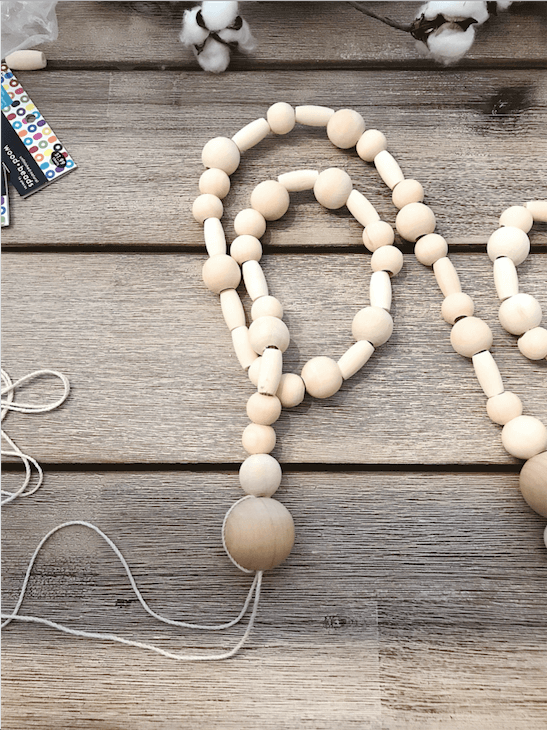 Take the opportunity to make your wood bead garland as unique as you are! 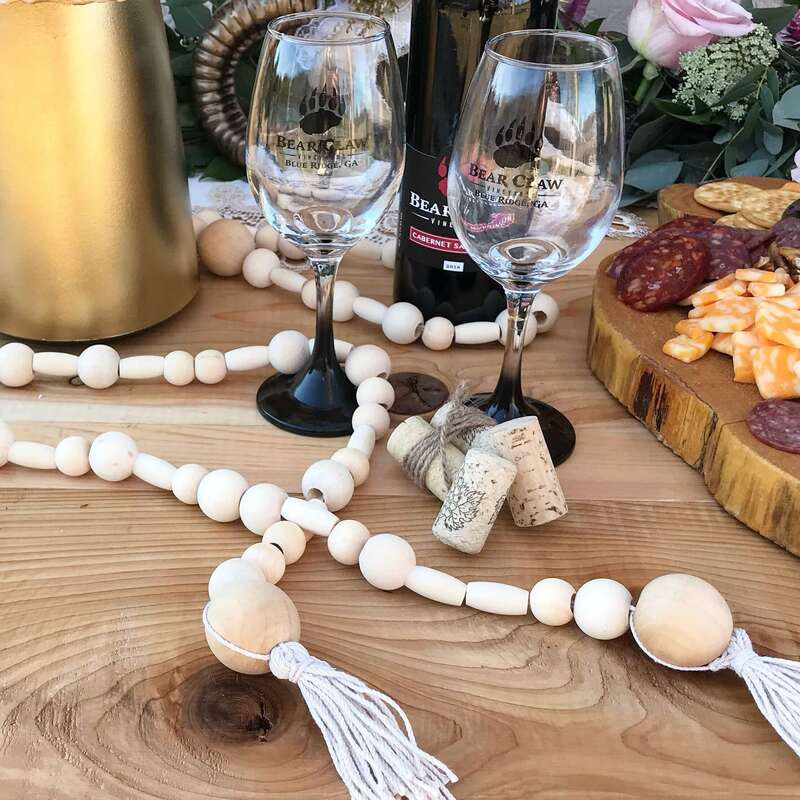 I love how the wood bead tassel garland ended up looking on our custom wood table for my boho vineyard wedding styled photoshoot. I can’t wait to share more photos with you once they’ve been submitted for publication. But, here’s a sneak peak above of how it all came together for now. I can’t wait to style these wood beads in my home next on our new hand-crafted coffee table we just finished. Stay tuned! That will be coming to the blog soon! There you have it, friends! 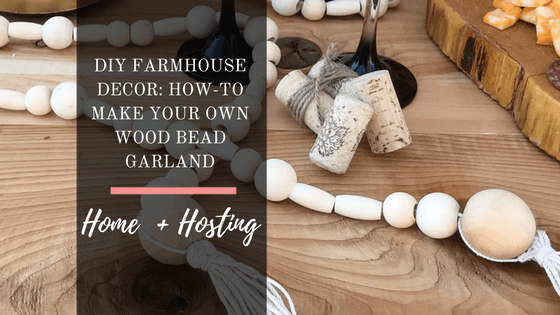 I hope you enjoyed this super easy DIY tutorial on how to make your own wood bead tassel garland to add the perfect touch to your farmhouse decor. Are you excited to go out and make your own? Tried it and reporting back? Leave a comment below! I must be living under a rock because I haven’t heard of this trend. This looks super easy and I think even I could handle it! This is so creative! I need to get to Hobby Lobby to get these materials and make the same thing. 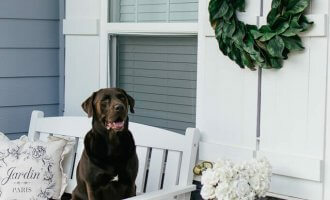 I LOVE this garland and definitely want to make it! The tassels are perfect to cap off the details! It looks so easy to make and it’s such a lovely decoration. Thank you for the inspiration. You’re so welcome, anna! I am so glad that you love it! 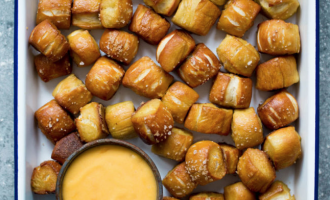 I’m planning a rustic decorated dinner and these might just work. Love the addition of tassels. Thanks for the clear pics and directions! I love this garland because it looks so beautiful and natural-looking. thanks for explaining how to make it…I’ll have to look into this. Oh that is so pretty! Love it. Not only does this look super easy but soooo cute! Why have I never thought of doing something like this!!! Thanks girl! You’re so welcome, Meli! 🙂 That was my exact thought when I came across it the first time too! I absolutely love the little touch it adds to my decor.